Key Difference: The Republican Party is one of the two biggest parties in the United States. The Republic Party prides itself on American conservatism. The Tea Party, on the other hand, is not a political party at all. It is in fact a political movement which advocates a reduction in the U.S. national debt and federal budget deficit by reducing U.S. government spending and taxes. The Republican Party is one of the two biggest parties in the United States. The US is essentially two-party system: Republican and Democrat. Each President of the United States since 1852 has belonged to either one of these parties. The two parties have also controlled the United States Congress to some extent since at least 1856. The Republican Party was founded by anti-slavery activists in 1854. After it was founded, it dominated politics nationally for most of the period from 1860 to 1932. 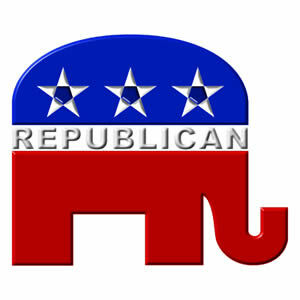 Today, it is also known as GOP, which stands for Grand Old Party, a name that is a testament to its strong 160 years. The Republic Party considers itself to be as right-wing on the left-right political spectrum and prides itself on American conservatism. The principle of American conservatism is based on classical liberalism and not wholly upon rejection of the political ideology of liberalism. The Republican Party's conservatism is largely based upon its support of classical principles against the modern liberalism of the Democratic Party. The Tea Party, on the other hand, is not a political party at all. It is in fact a political movement which derives its name from the Boston Tea Party of the American Revolution. Due to the fact that it is a movement, its members can actually be Republican, Democrat, or even Independent. In fact, members of the Tea Party often agree with Republicans over one issue, but with Democrats on another. The Tea Party Movement was founded in 2002 by Citizens for a Sound Economy (CSE), a conservative political group whose self-described mission was "to fight for less government, lower taxes, and less regulation." The movement is known for advocating a reduction in the U.S. national debt and federal budget deficit by reducing U.S. government spending and taxes. However, the movement did not gain traction until it staged numerous protests and demonstrations in and after 2009. Today, it is movement has been called a mix of conservative, libertarian, and populist groups. The Citizens for a Sound Economy (CSE), a conservative political group, started the Tea Party movement in 2002, but it did not take off until 2009. A mix of conservative, libertarian, and populist groups. Tea Partiers want to balance the budget, end runaway government spending, including pet projects for lawmakers known as "pork," and stop the tax hikes. While Republicans aren't opposed to those demands, they have come under fire for running up the deficit when they were in power. Have called on extending the Bush tax cuts, saying their expiration even for the wealthiest Americans would amount to a tax hike that could imperil a fragile recovery. Tea Party believes in smaller government. Activists have proposed abolishing the Energy and Education departments and the Federal Reserve. Republicans also believe in limited government, but they have attacked candidates calling for the abolition of federal agencies as out of the mainstream. Tea Partiers have called for privatizing Social Security. Want to defund, repeal and replace the healthcare reform law. Tea Partiers call for the rejection of cap and trade, a policy that would cap the carbon emissions that energy companies release into the atmosphere and force companies to trade permits to emit. Many Republicans also have opposed the policy, deriding it as cap and tax.